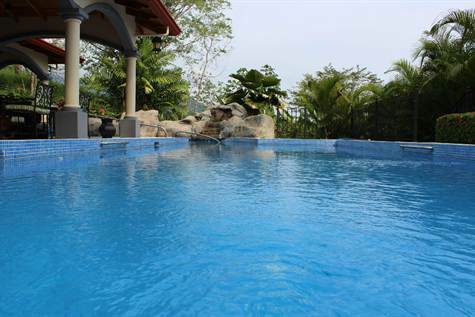 0.5 ACRES – 3 Bedroom Main Home, 2 Bedroom Guest Home, Plus Pool!!! 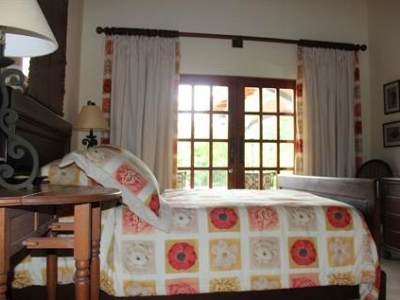 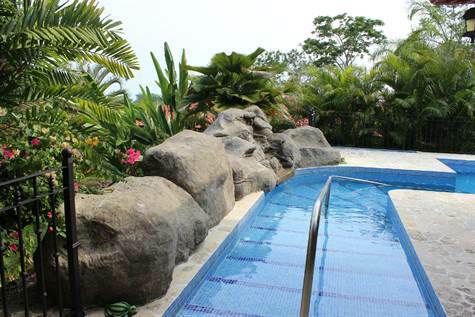 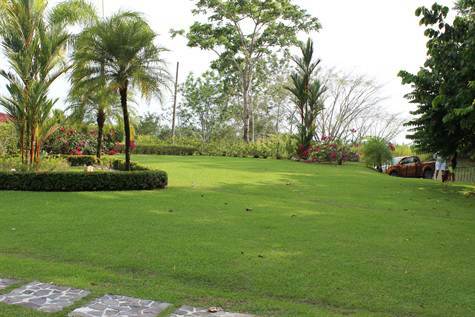 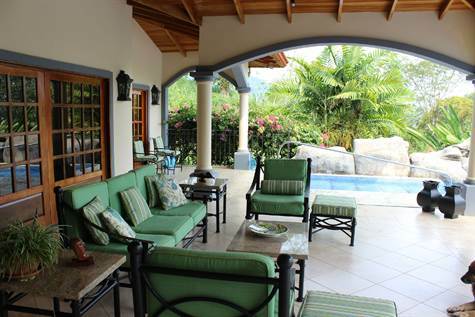 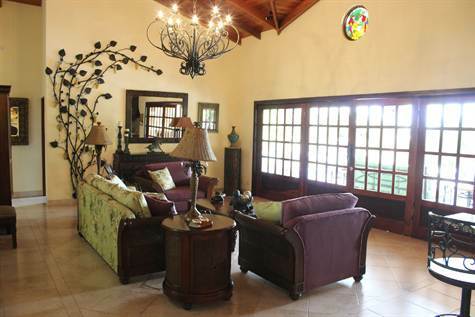 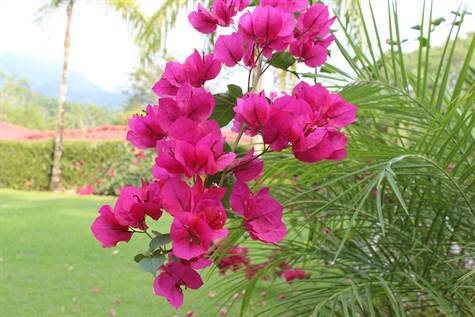 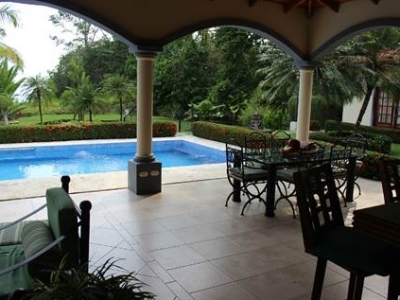 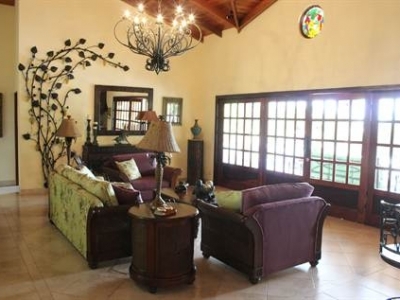 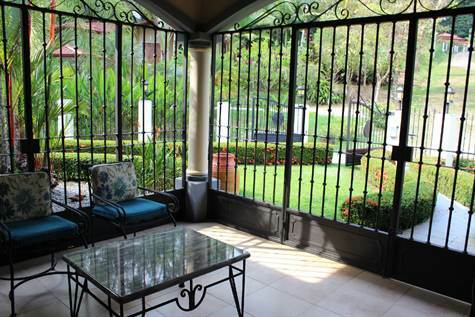 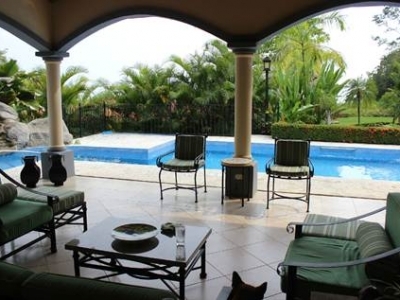 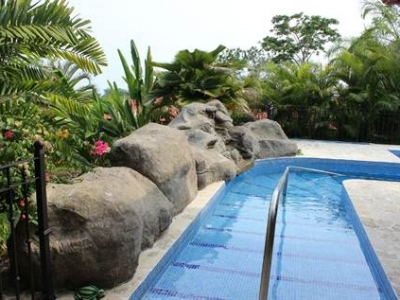 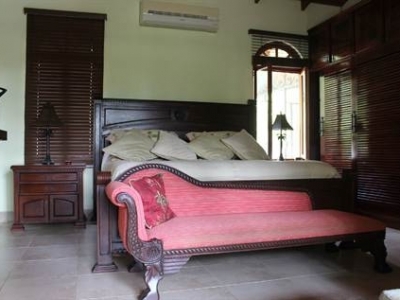 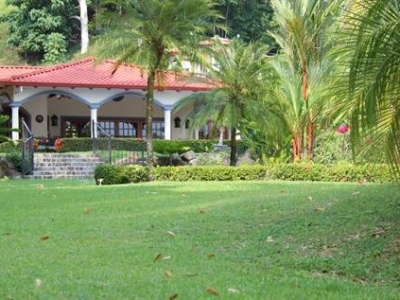 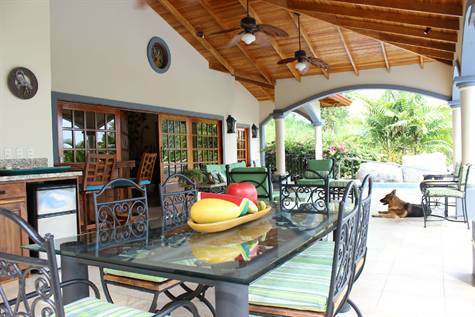 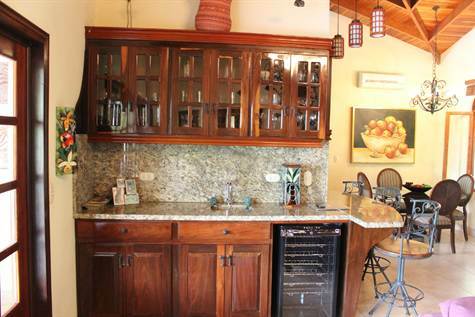 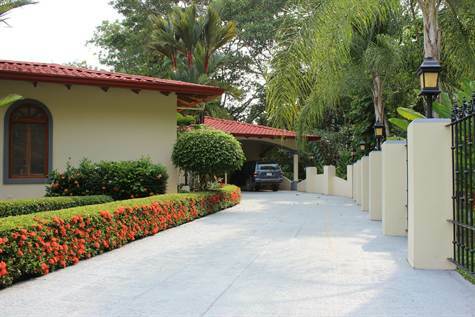 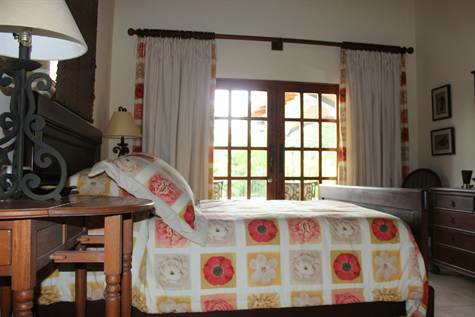 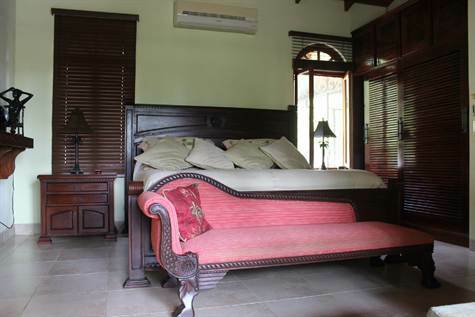 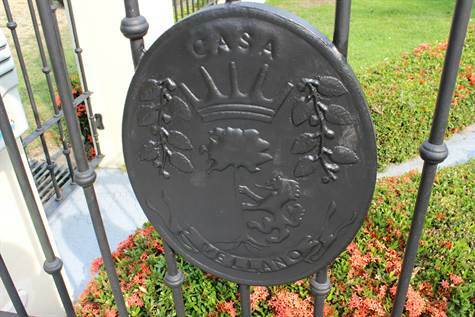 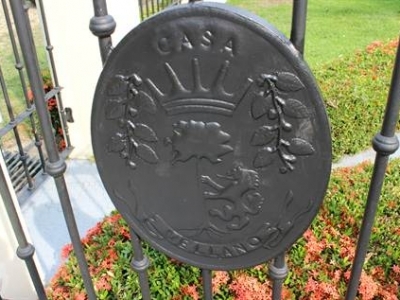 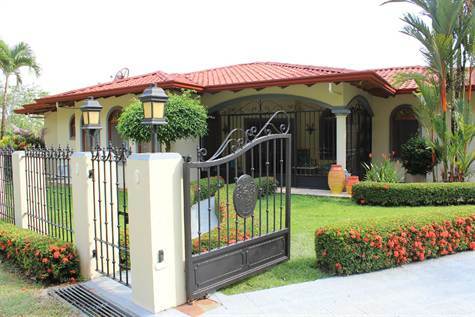 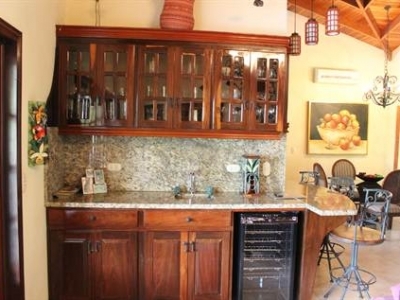 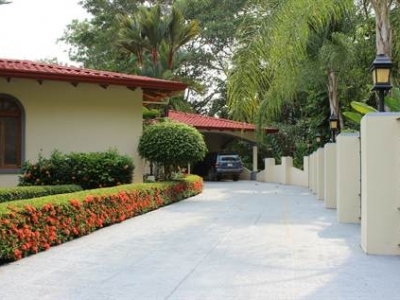 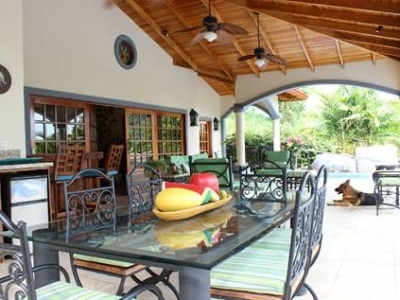 Casa Vellano, is in a safe and secure gated community in the Southern Pacific Zone of Costa Rica. 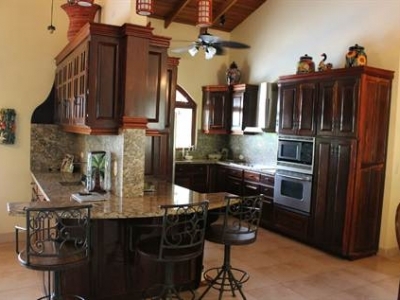 This estate was lovingly and painstakingly contracted and built by a distinguished gentleman, for his bride and the love of his life. 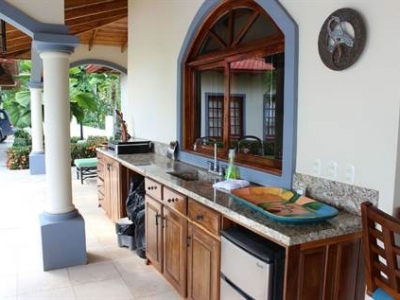 Every inch of this property has been meticulously crafted to enhance the beauty of the exotic materials used in construction, and to create a welcoming yet luxurious environment. 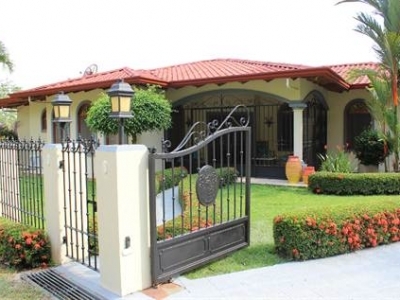 Since his passing, this home is more than the beautiful bride requires, and so it is time to write a new chapter for her, and for this impressive property. 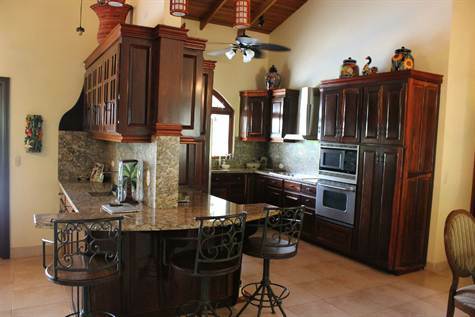 The main house was skillfully designed to accommodate 3 bedrooms and 3/12 baths. 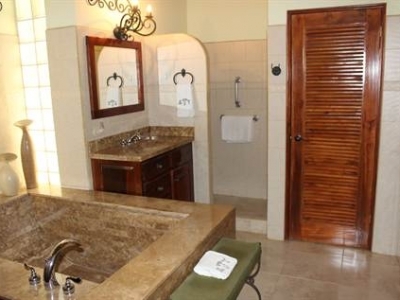 Each room has a private bath, and great views. 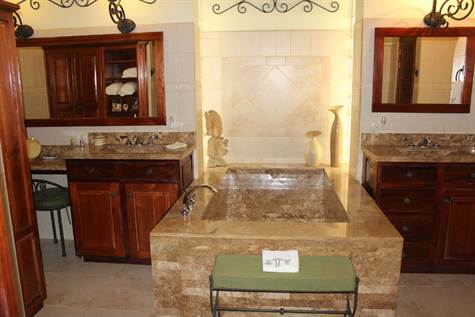 The master is, as you would expect, is a generous size with a very impressive master bath. 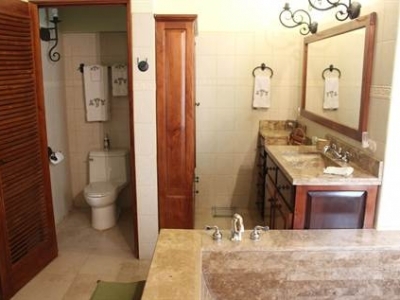 His and Hers are complete, including separate toilets and vanities. 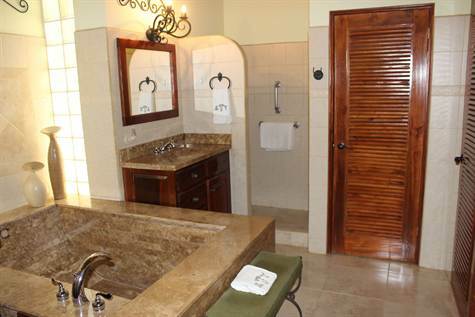 The hand crafted custom tub is large enough for both. 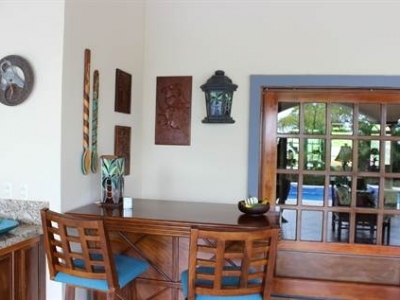 The living room over looks the tropical and expansive back yard, and includes a granite wet bar and custom made furnishings. 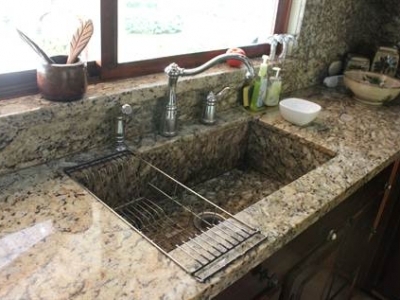 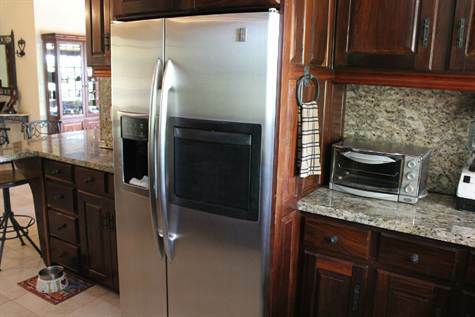 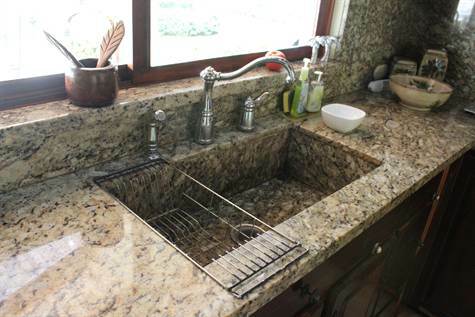 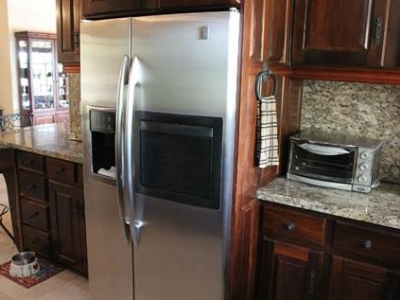 The kitchen is done in quality granites and hardwoods, with high end appliances. 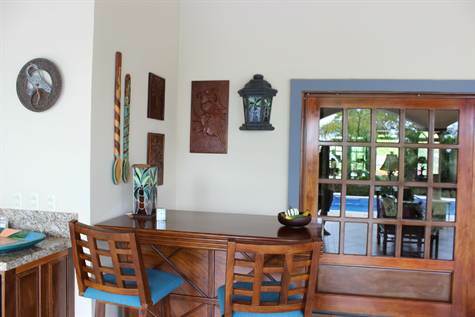 There is a nicely appointed eating area for the rare occasion when you may wish to dine inside. 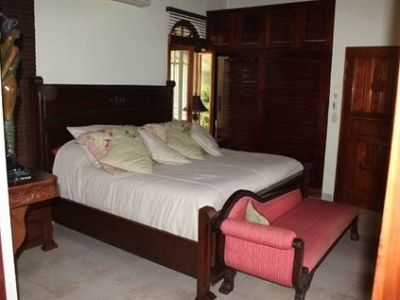 The 2nd master bedroom is currently furnished and presented as a gorgeous second living room, with beautiful furnishings and tasteful finishes. 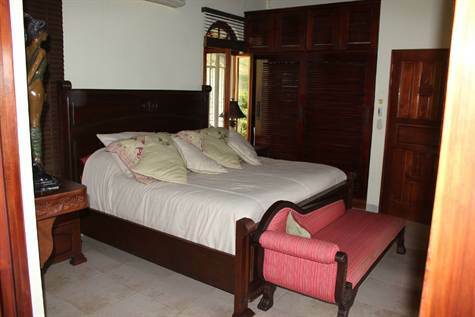 The third bedroom is on the opposite side of the home, offering privacy to all. 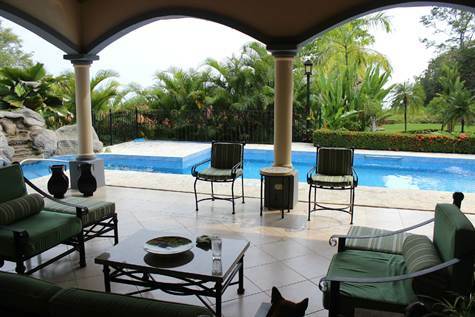 Perhaps the greatest area of this lovely estate is the 1700 square foot main terrace which flows from the main living room, out to the beautiful and inviting custom designed pool with water feature. 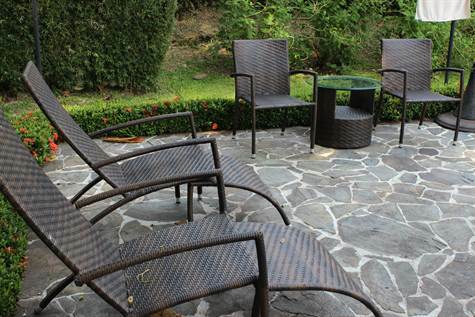 This terrace has ample seating for entertaining several people, yet is perfectly furnished and positioned to create a romantic and intimate space to enjoy quality time with someone special. 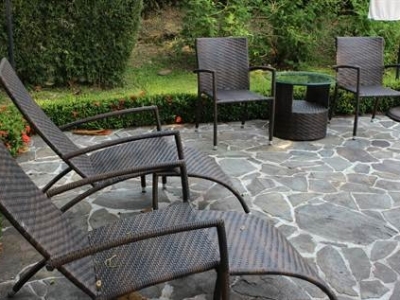 Whether a party for 60, an dinner for 6, or a glass of wine for 2, this terrace is the perfect place to unwind and relax. 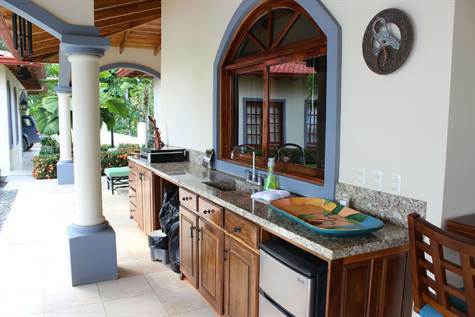 The wet bar and shade make relaxing even easier. 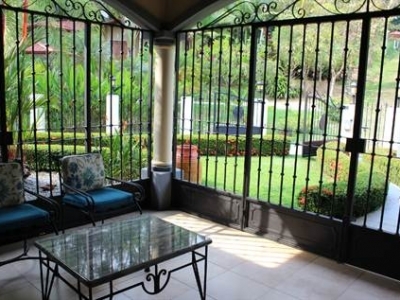 There are other exterior terraces as well, and each compliments the other, as was intended to create the ideal balance between luxury and comfort. 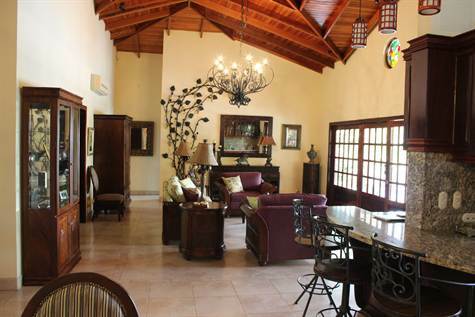 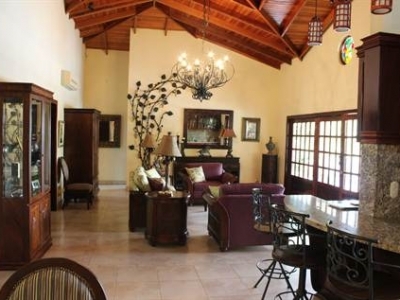 This estate boasts a separate guest home with 2 bedrooms, and even staff quarters. 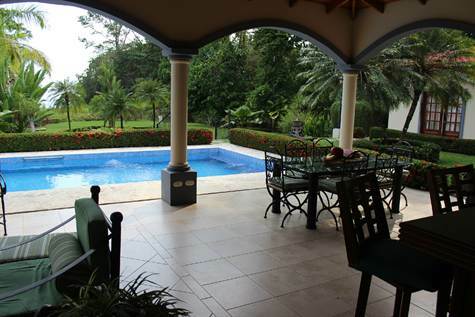 The back yard, beyond the pool is flat, with amazing gardens and tons of room for children, pets, or just a nice stroll along the grounds. 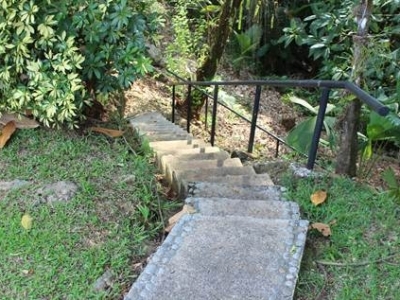 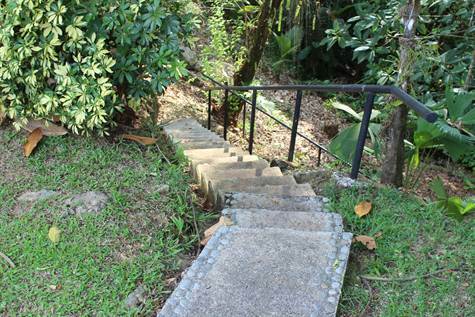 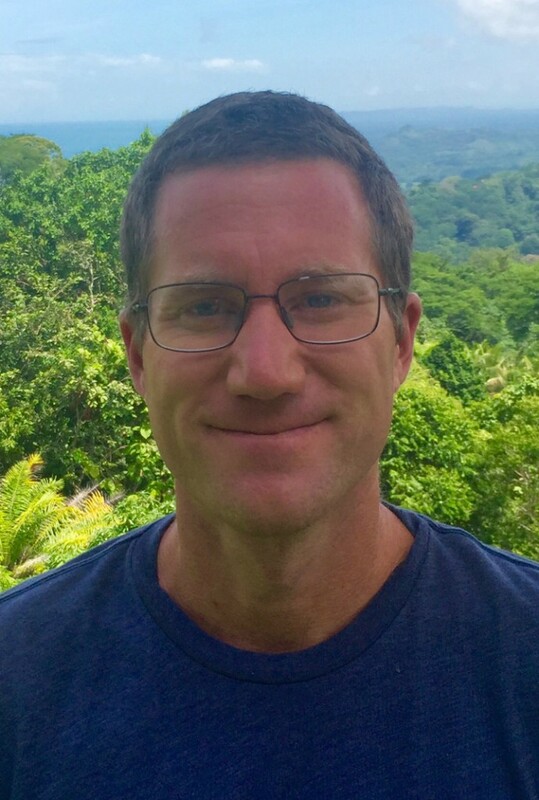 There are stairs constructed down to the bonus 1/4 acre lot which has separate title, and has been used to plant several fruit trees, exotic orchids, and a sanctuary for the many animals, monkeys, and tropical birds that call Casa Vellano home. 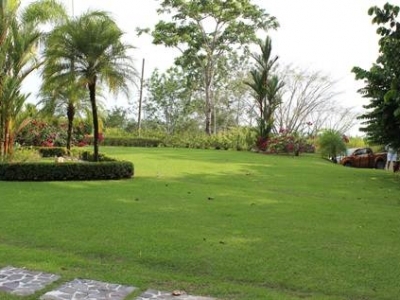 This lot could easily accommodate another large home, or perhaps some additional guest villas. 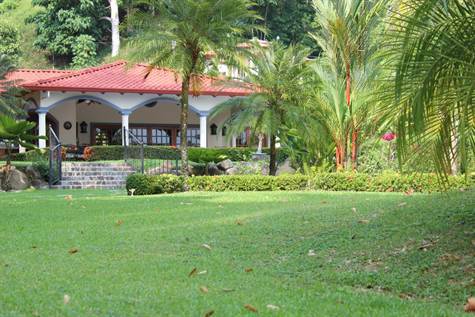 We could have spent several more hours photographing this beautiful home and impressive grounds. 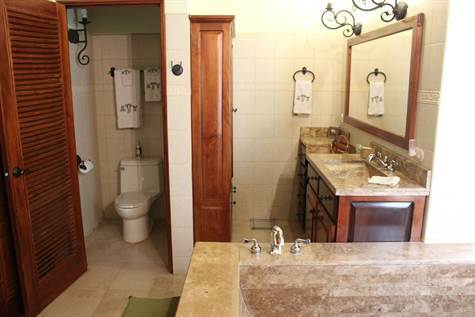 Every turn and every corner unveils a new a delightful detail. 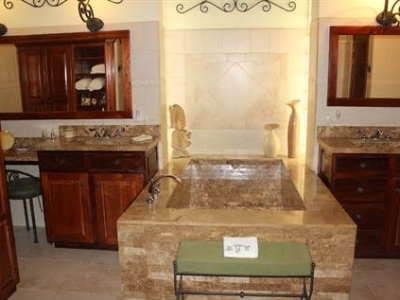 To schedule your personal showing of this home, please contact us today.